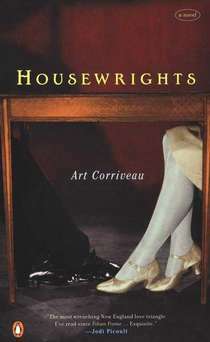 Housewrights tells the story of Lily Willard, a village librarian in Vermont at the turn of the 20th century, and her unusual relationship with Oren and Ian Pritchard, carpenters who roam New England building houses for others though they themselves remain homeless. Eyebrows are only silently raised when Lily first welcomes the twin brothers into her home to live. But the three then take a heady, impetuous waltz together at a Grange Hall dance—with practically the entire town watching. Ages 16 and up. “Book Sense 76” 2002 summer selection. 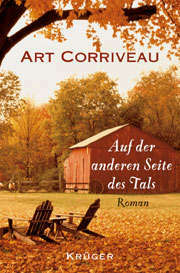 Published in German in 2004 by Krüger Verlag, translation by Theresia Übelhör. "Corriveau has written a surprisingly rich novel that offers many pleasures, including the well-realized setting and characters." German edition by Krüger Verlag, 2004.